One of the most popular sections of most mainstream gyms is the cardio area. 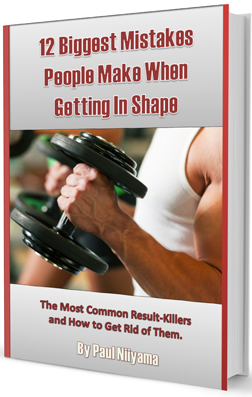 Most of the people who join gyms are average people who are looking to lose a few pounds and many believe that cardiovascular exercise is the best way to do it. Unfortunately what those people may not realize is that the best way to lose a few pounds does not come from spending hours on a treadmill it comes from eating right. Getting the proper nutrition is the best way to lose weight but that does not mean cardio is bad or that you should not do it. Cardio is great for burning calories and can help your fat-burning efforts but only if you have solid nutrition. Doing the “best” cardio program can be confusing for some though since there are so many variables that can be taken into account when designing your program. The most common variables are covered with the FITT principle. FITT stands for Frequency, Intensity, Type, and Time. In this article I’ll cover some of the common mistakes people make when coming up with their cardio routine and give you the recommendations I give to my clients. So what is the best cardio to do? Because of the sedentary lifestyle of a lot of people nowadays more people have knee or hip problems so impact cardio exercises like the treadmill or a jump rope may not be an option. This is where a non-impact exercise like a bike or elliptical would be a better choice. Some gyms have a hand-crank machine which can help you work around a lower body injury. Personally I like the stationary bike and can get my heart rate up to a pretty high level with it. Some people are not able to get their heart rate that high with a bike so they chose to do the elliptical. It doesn’t matter what you do as long as you do it. Aerobic classes at the gym can also provide an intense cardio workout. Some classes such as a spinning, or kickboxing class can really elevate your heart rate and can provide extra motivation with its group setting. If you don’t belong to a gym, you can always go for a run, jump some rope or ride your bike. Bodyweight exercises like squats or burpees can also be used for cardio and they don’t need any extra apparatuses to do. Again it doesn’t matter what type of cardio exercise you do, the main thing is that you do it and are consistent with it. How Intense Should I Go? There has been a long standing belief amongst the fitness community (and even myself a long time ago) that getting your target heart rate to a “fat-burning zone” was the best way to burn fat. While this may be partially true for some, this concept is a little outdated and is based on a misconception about how the body burns fat. Well if you burn a larger percentage of your calories from fat than that must be better right? Not necessarily. When you work out at higher intensities the percentage of calories you burn from fat may be less but the total amount of calories you burn from fat will be much higher. Most people just want to burn total fat. Burning the most calories from fat will be the priority and not where the other calories were burned from. So for most people a higher intensity workout will provide more benefit than low to moderate intensity workout. This is why sub-maximal intensity cardio training has often been referred to as the fat-burning zone myth. On a normal diet the remaining energy will come from the glycogen (from carbohydrates) and possibly the muscle in your body. If you are going low carb and are in ketosis most of your energy will come from the ketone bodies from the fatty acids in your body. Is Low or Moderate Intensity Cardio Bad? While most people will see benefit more from high intensity cardio, there are certain instances where low to moderate intensity cardio is actually more beneficial. One of the most common uses for low or moderate intensity cardio is for recovery. When you are sore after a workout (also known as DOMS for Delayed Onset Muscle Soreness) it usually comes from the lactic acid that builds up in your muscles. Low intensity cardio can increase the blood flow in your muscles which can speed up recovery times. Using low or moderate cardio session for recovery should just be after your heavy resistance training days. Your body will need to recover from high intensity cardio as well. I don’t recommend my clients to do 2 high intensity cardio workouts on back-to-back days since your body will need time to recover fom those as well. Another use for the “fat-burning zone workouts” is for bodybuilders or fitness competitors whose goal is to lose the most bodyfat without losing any muscle at all. In this case it is important for them to lose the greatest percentage of bodyfat so they lose they keep as much muscle as possible. What exactly is High Intensity? The most common way people measure intensity is with the heart rate. Most formulas to calculate a target heart rate revolve around a formula that uses the number 220 minus your age. While this may be a pretty good indicator for some people it does not work for everyone. In the past I have worked with older clients that are in great shape. They work out at a level above their “max” heart rate and do not feel like they will fall over and die. I have also worked with younger clients that are out of shape and feel like they will pass out when they even get close to 50% of their “max” heart rate. It is my opinion that the heart rate should be used as a guideline and not a hard, black and white number that cannot be broken. A better method to measure intensity is your perceived exertion level. Basically you can gauge this by how hard you feel you are working. When you are at a high intensity with your breathing, you can check where your heart rate is at that point and use that as a guideline to make sure you are not slacking through your workouts. A heart rate monitor is a good investment since the ones on the cardio machines can be very inaccurate. any people think they need to work out every day to see results. An intense cardio session 3 times a week is a good start for most people. This may need to be adjusted if you are an athlete or are more advanced with your training. As I mentioned previously, I do not recommend 2 hard cardio sessions in back to back days for most people. Just like with your muscles and resistance training, the cardiovascular and nervous systems will need time to recover. This does not mean you cannot do a light or moderate cardio session on those recovery days though. Some of my clients want to do cardio every day and that is fine as long as you are incorporating the moderate and light cardio days into your program and not doing an intense cardio session every single day. How Long Should my Cardio workouts last? The duration of your cardio session is determined by your goal and the type of workout you will be doing. Personally I like to do as little cardio as possible, even when I am cutting so I use a pretty high intensity most of the time, but that’s me. If your goal is fat loss and are doing an intense interval workout, you can get some real killer cardio in about 20 minutes. The major benefit of an intense cardio workout is the time. Most people are able to squeeze 20 minutes, three times a week into a busy schedule. High Intensity Interval Training (HIIT) is one of the most popular types of intense workouts hat can burn a lot of fat calories in about 20 minutes. If your goal is to burn fat but your workout is low or moderate intensity than your workout duration will be longer. Since you aren’t burning fat and total calories as quickly your workouts will take a lot longer to see similar energy expenditure results. It is not uncommon for intensity cardio session to last for more than an hour. If time is not a consideration for your schedule, this may be the way to go since the percent of calories burned from fat will be more. If you goal is recovery than a low intensity cardio workout for about 10-20 minutes should be sufficient at elevating the blood flow throughout the body and speeding up the recovery process. I personally would not consider this a cardio workout though but some people would so I thought I’d mention it. Hopefully this article helped you understand some of the basics about coming up with your cardio program. There are so many other aspects of a cardio program that I did not cover but this should give you enough to get started. Remember as long as you don’t injure yourself, it is better to do something rather than doing nothing so take action and try to incorporate one of more of these principles into your program. It is also important to remember that you can’t outwork a bad diet. If you have any questions about anything I did not cover you can leave a comment below or on the facebook group. Thanks for reading.